After seeing the gorgeous wedding photos of Michelle Keegan in her seriously stunning dress – you might have been left wondering who the designer of this beautiful backless wedding gown was?! 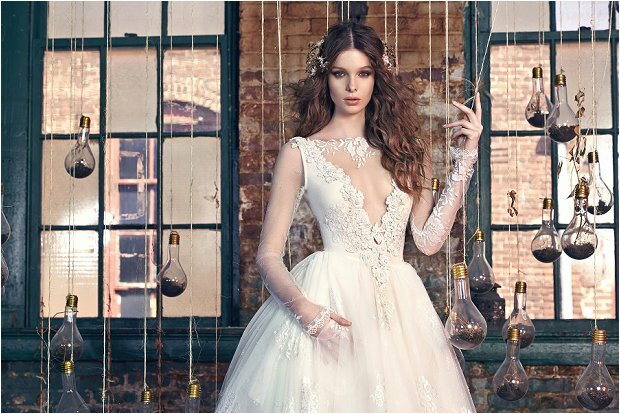 In a universe where fantasy romance and bohemian fairy tales collide, Galia Lahav creates a world of bridal couture unlike any we have ever seen before. 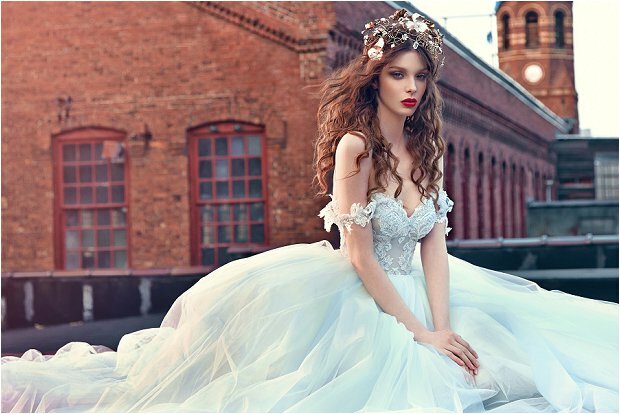 It’s a mystical collection, as daring and adventurous as the heroes of the tales it draws its inspiration from, with phenomenal corsetry, intricate lace details, and enchanted tulle skirts. It’s both romantic and classic combined, but most of all it’s something new for the eye. Galia takes us to unexplored heights as she introduces us to new silhouettes, textures, lace, and an overall unique look. 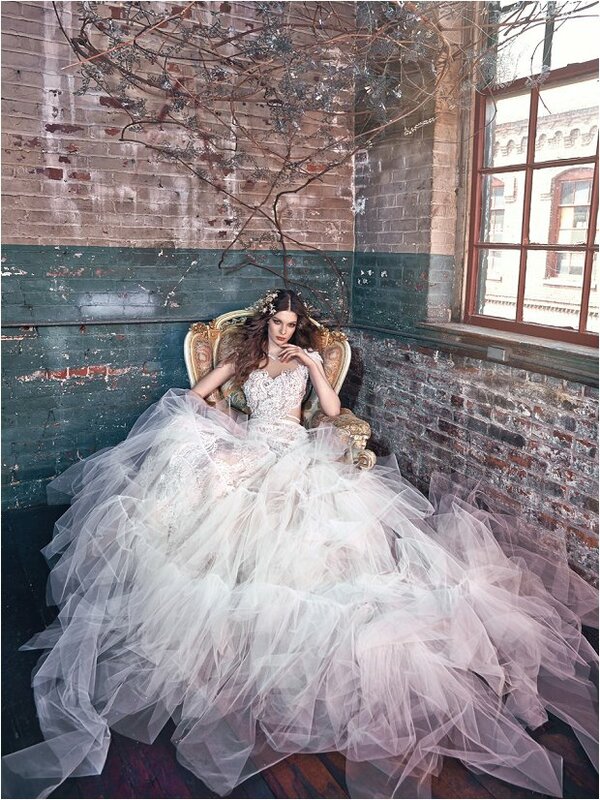 The collection consists of fifteen timeless pieces with a color pigments for bridal design. 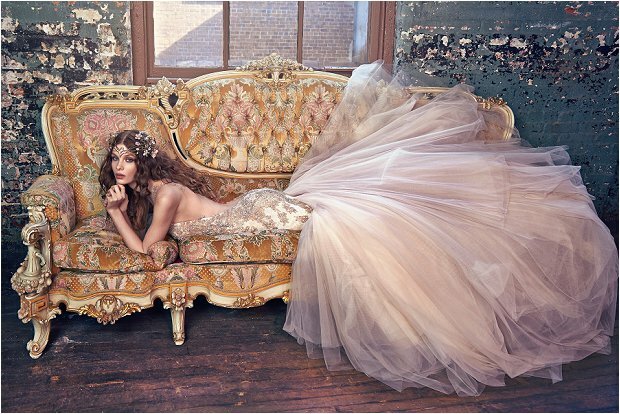 In “Les Reves,” you will discover hues of ice blue, dusty rose, champagne, and ivory. Galia retains the traditional emphasis on the waistline, which when combined with the new silhouette creates a captivating, romantic look. 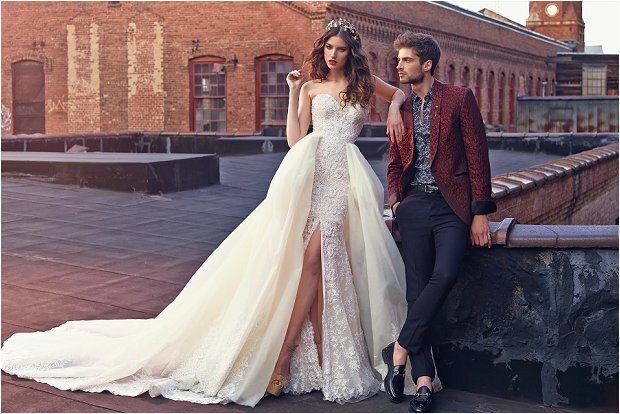 There is a layering of fabrics and fabric combinations that create an illusion of depth in the patterns and colors, making the gowns look more dreamy and aesthetic to the eye. 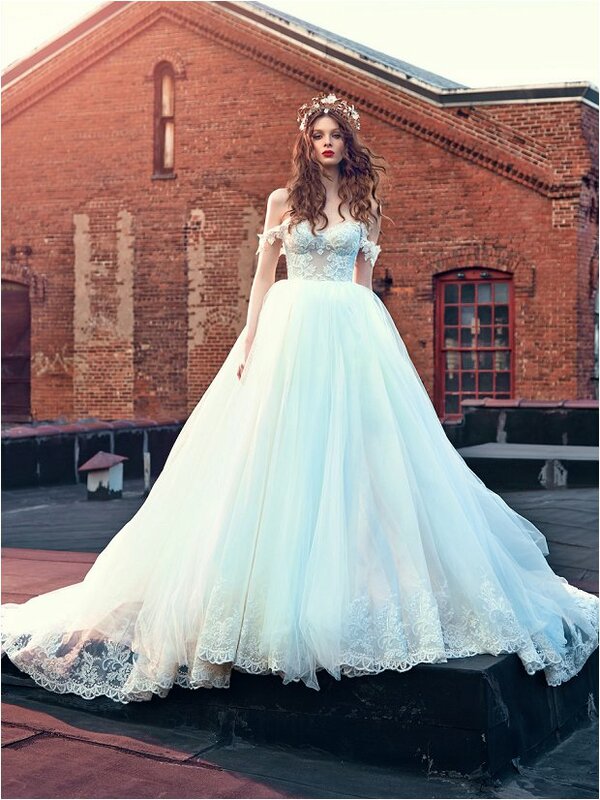 Her dresses hint at sensuality with body hugging contours but remain coy with their softer lines and overall silhouette, like the familiar fairy tale princess. The dresses embody details of light, soft draping, and the delicate flares inspired by wings. The necklines are very detailed and trimmed in hand embroidery, and all the exquisite jewelry pieces are hand beaded, with intricate three-dimensional details using brushed and antique silver. Galia designed a luxury hand-made accessory collection to accent the dresses which are an entirely original approach to bridal accessories. Each divine with lovely combinations of colors and semi-precious stones, from rich lavender to deep jade green. The pieces are plated in genuine gold. While designing her bridal dress and accessory collection, Galia searched deep into the heart of the bride, to express the mood of falling in love. Those who have searched for and found love understand that it is intangible and can never be strictly defined or explained, but must be felt and experienced, and that’s the essence that Galia worked to portray in this collection. It is not about the fabric or the dress, this collection is something beyond the material, it is an expression of love through the art of design. 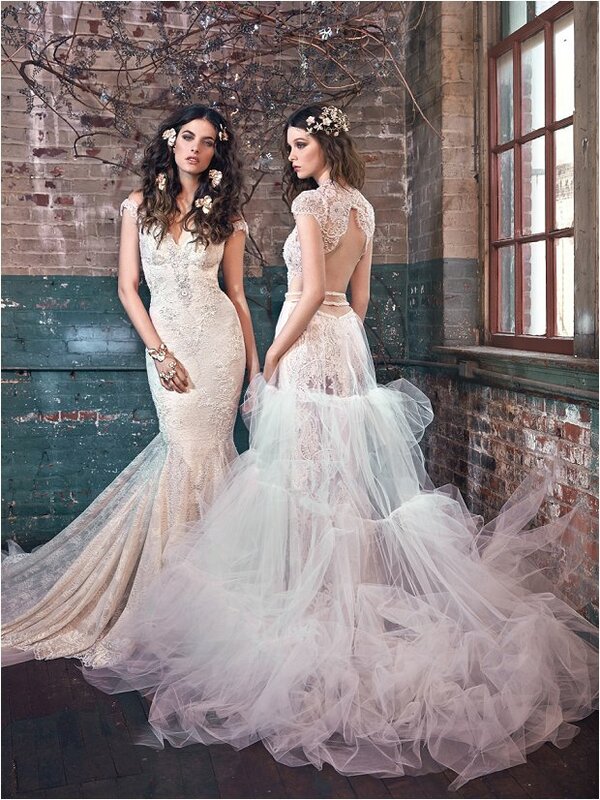 To find stockists head on over to Galia Lahav.